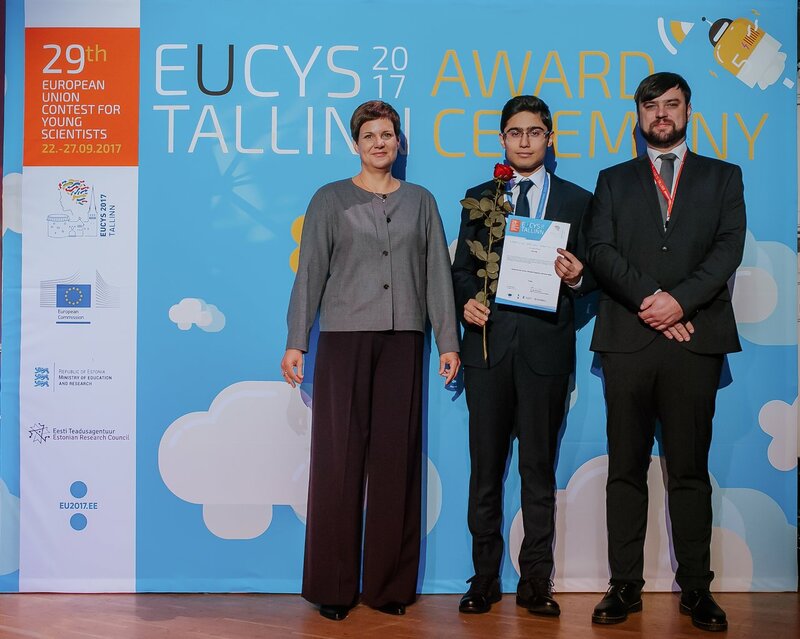 The winners have been announced of the prestigious European Union Contest for Young Scientists (EUCYS). Between 22 and 27 September 2017, 146 young scientists from 40 countries gathered in Tallinn, Estonia to compete in the contest. As a member of the EIROforum, the group of eight major European Intergovernmental Research Organisations, ESO donated a special prize for the best project in the field of astronomy and space physics. This was won by Can Pak (aged 17) from Turkey for his project on “Measuring the surface vibration frequency with laser diode”. He will receive a trip to ESO’s sites in Chile, including visits to the Paranal Observatory and the ESO facilities in Santiago. The trip will offer Can Pak unique insights into life at the most advanced astronomical observatories in the world, a dream experience that we hope will inspire him to pursue astronomy and astrophysics in the future. The prize was presented by Dr. Silke Schumacher, Director of International Relations of EMBL. In the competition proper, the three first prizes of €7000 each were awarded to: Karina Movsesjan (18) for “The role of RAD51 mutations in cancer development”; Adam Jan Alexander Ohnesorge (20) for “The forgotten prisoners — Civilian prisoners of the Great War in Corsica”; and Danish Mahmood (14) for “W.I.N.I.T.S. (Wireless Interconnected Non-Invasive Triage System)”. The second prizes (of €5000 each) went to: Colette Benko (16) for “Novel Pediatric Cancer Therapy: Targeting Epigenetics to Induce Differentiation”; Kamil Humański (18) for “Taxonomic diversity of the Middle Ordovician – early Silurian echinoderms from Siljansringen, Sweden”; and Yana Zhabura (17) for “Enhancement of technical capabilities of delta robot”. Third prizes (of €3500 each) were awarded to: Chavdar Tsvetanov Lalov (17) for “The structure of self-avoiding walks and the connective constant”; Arne Jakob Geipel (16), Matthias Paul Grützner (16) and Julian Egbert (16) for “Liquid stream hits rough surfaces — showing an extraordinary and stable wave pattern”; and Florian Cäsar (19) and Michael Plainer (19) for “Sigma — Learning how computers learn”. These prizes were presented by the president of the Republic of Estonia, Kersti Kaljulaid, together with Robert-Jan Smits, Director General of DG Research and Innovation at the European Commission. 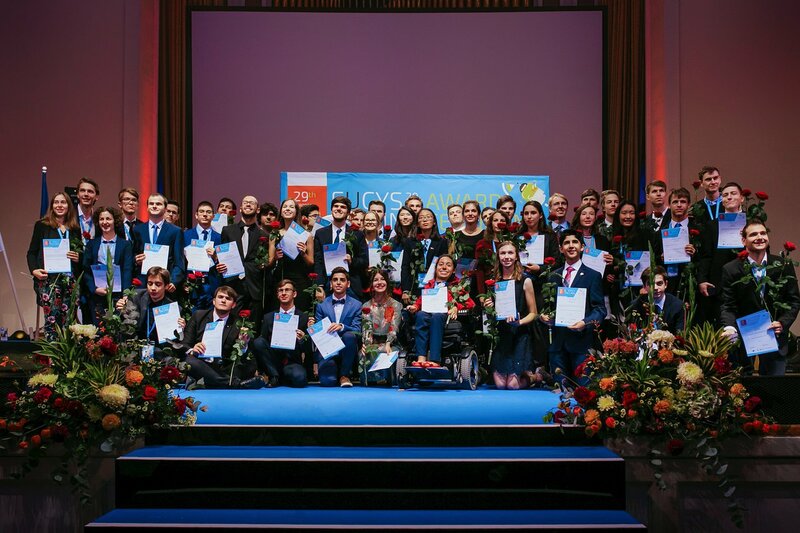 Set up in 1989, the EUCYS aims to promote the ideals of cooperation and interchange between young scientists and guide them towards future careers in science and technology. There were 19 judges, three of whom came from EIROforum institutes.